In the 1930s, the passage of New Deal legislation marked the beginning of a new era for workers' rights. One of the groups forgotten by the New Deal was farmworkers. Eighty years have gone by and New York State farmworkers still lack the rights to a day of rest, overtime pay and the right to bargain collectively - which means they are powerless to ask their employers for what they deserve - equal rights and dignity. 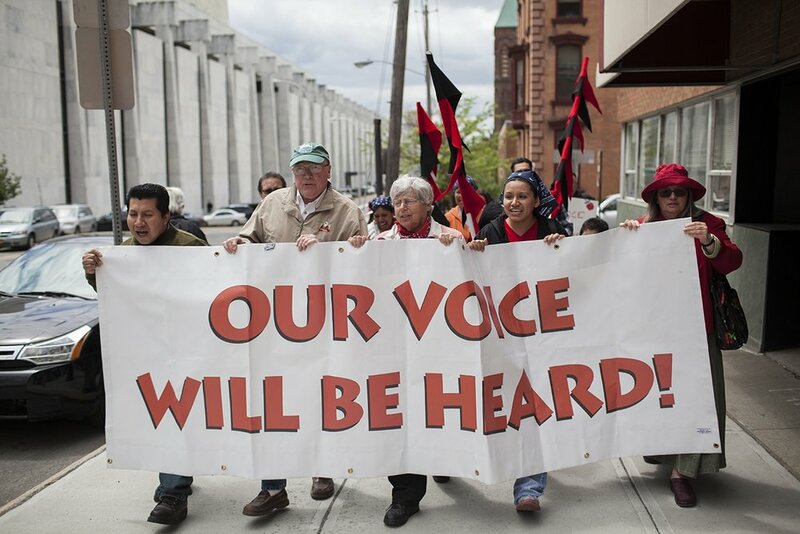 The Justice for Farmworkers Campaign (JFW) was created as a statewide educational and legislative movement aimed at giving farmworkers the same rights that every other New York State worker receives. Over the last fifteen years, Rural & Migrant Ministry, Inc. (RMM) has been at the forefront of the Campaign by raising awareness, educating the public about know how they can support farmworkers, and supporting for legislative change through the passage of the Farmworkers Fair Labor Practices Act. The Legislative Campaign has had some successes, as farmworkers were granted the right to clean drinking water and sanitation facilities in the fields, and the right to the same minimum wage as other workers yet, exclusions still remain. The Farmworkers Fair Labor Practices Act (S2837/A2750), a bill currently in the NY State Legislature, would remove these exclusions and grant farmworkers the dignity and equality they deserve. To find out more information on how you can join the campaign and learn about our upcoming events and actions, send us a message and we will get back to you! May 6th, 10-4PM in Albany. Albany Lobby Day at the State Capitol. Buses will be leaving from Long Island, NYC and WNY. $20 donation is suggested for the bus ride to and from Albany. We'd love to have you join us! Email us at josechapajfw@gmail.com for more details and to let us know you're coming. 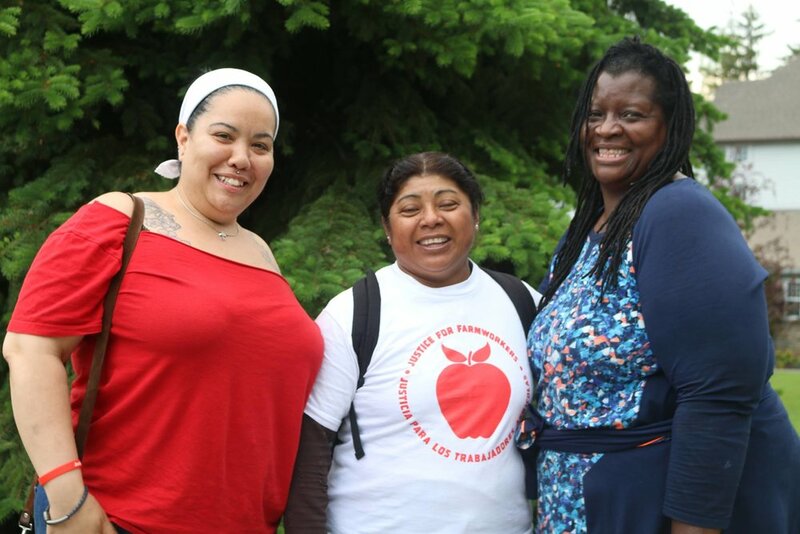 Senate Bill 2837, sponsored by Senator Jessica Ramos will enact the Farmworkers Fair Labor Practices Act, which will grant collective bargaining rights, workers' compensation and unemployment benefits to New York state farmworkers. Assembly Bill 2750, sponsored by Assemblywoman Cathy Nolan will enacts the Farmworkers Fair Labor Practices Act, which will grant collective bargaining rights, workers' compensation and unemployment benefits to New York state farmworkers. 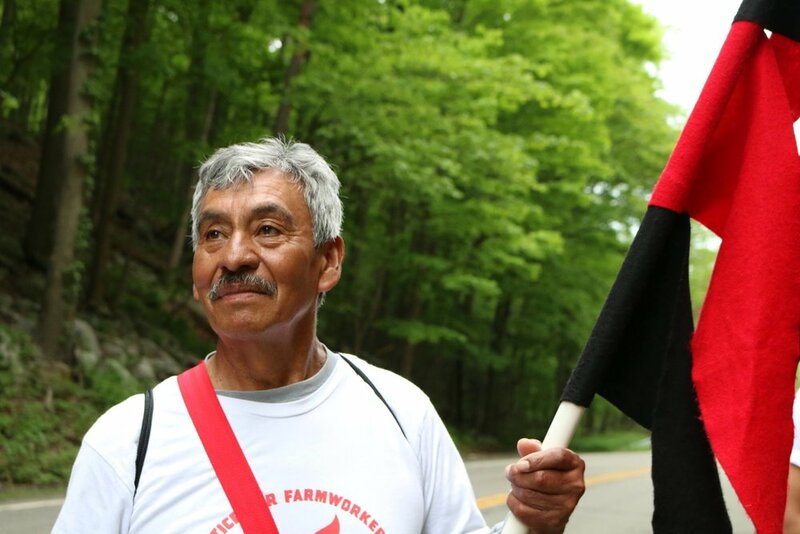 The purpose of this Farmworker Sabbath is to raise up the MORAL and ETHICAL voices of religious congregations/communities within New York State to focus on the plight of its farmworkers – and to respond to a long-standing injustice with prayer, education and action. Learn more about the key provisions that would be enacted if the Farmworker Fair Labor Practices Act were to pass through the New York State Legislature. Learn more about the several organizations that are members of the Justice for Farmworkers Campaign. Learn more about several myths and facts that surround the Farmworker Fair Labor Practices Act.